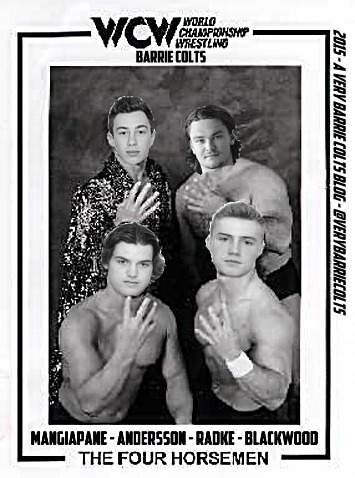 Barrie Colts' Top 5 Moments of 2015. #OHL - Very Barrie Colts | A website covering the Barrie Colts of the OHL. What about the Barrie Colts stood out most to you this past year? Was it when the Colts moved Brandan Lemieux? Maybe it was Joseph Blandisi, Andrew Mangiapane and Kevin Labanc finishing last season with 100 points each? With the help of our friend and contributor Chicks Dig Hockey, we have put together a list of the Top 5 Moments that stood out to us this past year. #5. New Jersey Devils sign Joseph Blandisi. 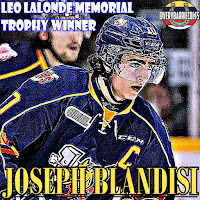 On January, 14th of 2015 the New Jersey Devils signed Barrie Colts captain (at the time) Joseph Blandisi. Blandisi was originally selected by the Colorado Avalanche in the sixth round (162nd overall) of the 2012 NHL Draft. The Avs never made a move to sign him despite showing promise through development as a prospect over the following seasons there. In the 2014-15 season (when signed by the Devils) Blandisi put together an incredible campaign finishing the season with 52 goals, 60 assists for a total of 112 points. Not only are these pretty solid numbers, but they are more impressive when you consider that Blandisi spent 112 minutes in the penalty box. Over four OHL seasons (split up between Owen Sound, Ottawa and Barrie) the Markham, Ontario native would play in 246 regular season games and tally a total of 108 goals, 136 assists for a total of 244 points. Almost half of his total points were in his final season with the Colts. In that year, Joseph was named the Colts' captain replacing Aaron Ekblad who was playing in Florida with the Panthers in his rookie campaign. 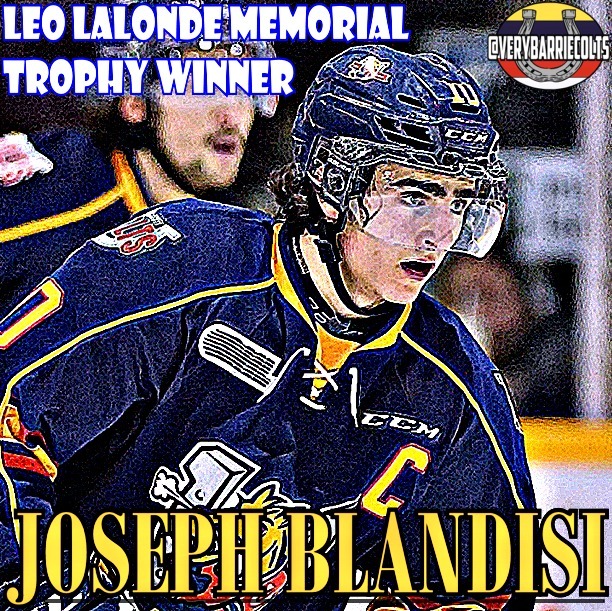 Blandisi earned the Leo Lalonde Memorial Trophy in his OA season with the Colts which is awarded to the OA player of the year in the Ontario Hockey League. Additionally he was voted for play of the year by fans of the OHL. Blandisi has seen 3 games so far this season with New Jersey but has spent most of the year with their farm team the Albany Devils in the AHL. In 21 games he has posted 7 goals and 17 assists for a total of 17 points. #4. Brendan Lemieux TRADED to the Windsor Spitfires. A look back at the Colts’ in 2015 would not be complete without a nod to #21. Earlier this year, Brendan was traded to Winnipeg (because he refused to sign with Buffalo) in the deal that sent Evander Kane to the Sabers. The 6’1” left winger was selected 31st overall at the NHL Entry Draft by the Buffalo Sabers. He scored 25 power play goals in 57 games last season. 2015 got a little rocky for Lemieux when he was suspended indefinitely by the OHL after he landed a brutal hit to the head of Owen Sound Attack forward Keenan Reynolds that knocked the latter out of the game. Since his return from suspension on November 15, Lemieux had been on a scoring tear. 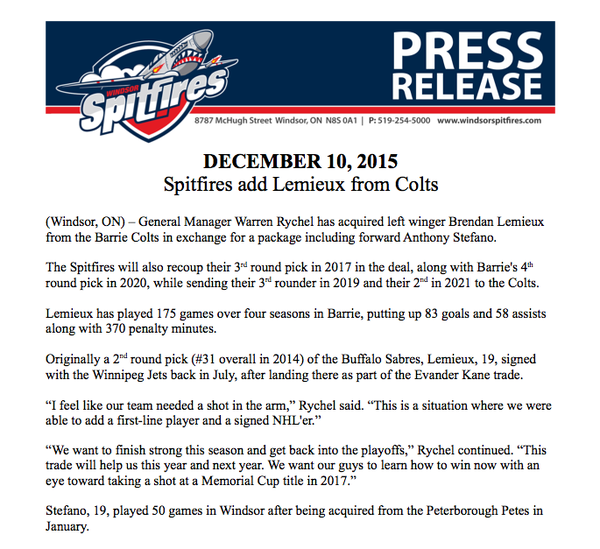 Still, December 10th he was traded to the Windsor Spitfires, along with two draft picks for Anthony Stefano and two draft picks. #3. Blackwood, Mangiapane, Andersson and Radke Drafted. The 2015 Draft was another huge success for the Barrie Colts. Sure, they might not have helped produce the top pick as they did the previous year with Aaron Ekblad going to Florida first overall but it was still a good night for the team. Mackenzie Blackwood, Andrew Mangiapane, Rasmus Andersson and Roy Radke were all selected. This is only the second time in NHL Draft history where 4 Barrie Colts were selected in the same draft year. The only other time this happened was in 1997 when Daniel Tkaczuk, Nick Smith, Keith Delaney and Jeff McKercher were drafted. The only year that there were more Colts selected in the same draft was at the 1999 draft when 6 players were selected. If you are interested in seeing the Colts complete history at the NHL Draft it can be found here. #2. Mackenzie Blackwood gets suspended/Makes TeamCanada/Signs with New Jersey Devils all around the same time. Mackenzie Blackwood is a Devil!! But first he was a Colt. The Devils have signed goaltender Mackenzie Blackwood to a three-year entry-level contract, the club announced December 30th. This year was the 19 yr old’s third season with Barrie. At 6-4, 225-pounds Blackwood leads the league in save-percentage (.932), is second with a 2.36 goals-against average and is tied for fifth with 16 wins in 24 appearances for the Colts. He was named the OHL's goaltender of the month for November, going 8-2-0 with a 2.00 goals-against average and a .942 save percentage with one shutout in 10 games. Blackwood’s three year record is 72-36-4 with five shutouts, a 2.90 goals- against average and a .910 save-percentage in 120 regular season games played. He's also appeared in 19 playoff contests, going 10-8 with one shutout, a 2.75 goals-against average and a .915 save percentage. Great numbers. His season was not without controversy. On December 4th, Blackwood received a match penalty and subsequent eight-game suspension for slashing Sudbury Wolves forward Danny Desrochers. He was named to Team Canada for World Juniors but sat out the first two games because of the OHL suspension. He finally made his Team Canada debut on Tuesday, helping them to best Switzerland 3-2 in overtime. Mackenzie Blackwood seems destined to play a starring role in the NHL if he can control his emotions and continue to dominate in net. #1. Aaron Ekblad wins the Calder. 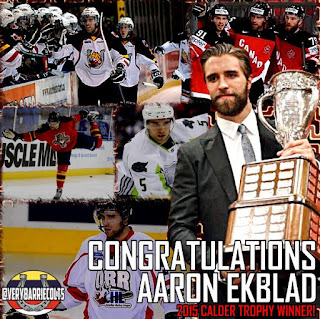 A year after being selected first overall by the Florida Panthers Aaron Ekblad won the Calder Trophy which is awarded to the NHL player voted to have the most successful first season in the league. Ekblad winning the award made him only the 11th defenseman to be awarded the Calder in its history. The last defenseman to accept the award was Tyler Myers when he won it with the Buffalo Sabres in the 2009-10 season. Ekblad finished his rookie season with 12 goals and 27 assists for a total of 39 points. He led rookie defensemen in goals with 12, PP points with 13, PP goals with 6 and shots on goal with 170. He totalled 109 hits, 80 blocked shots and had a +12. That's our top 5 Colt's moments from this past year. We would love to hear what moments stood out to you the most this past season! Be sure to let us know in the comments, on our Twitter or over at our Facebook Page! Blandisi, Mangiapane and Labanc all finished the season with over 100 points each. Blackwood signed by the Devils a day after his first game with Canada at the WJC. The Colts continued NOT to make Party Hard their theme song... COME ON!